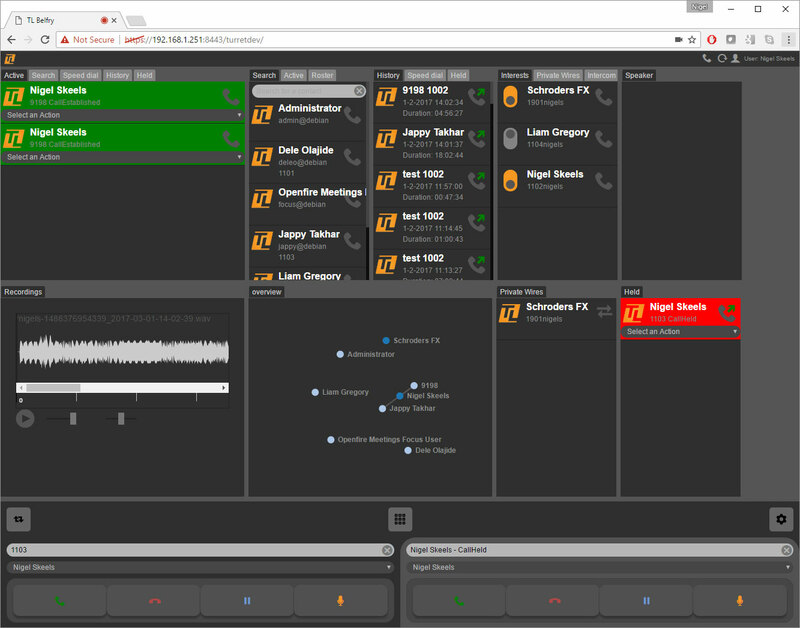 Implementation of a financial traders phone system as a single page web app. 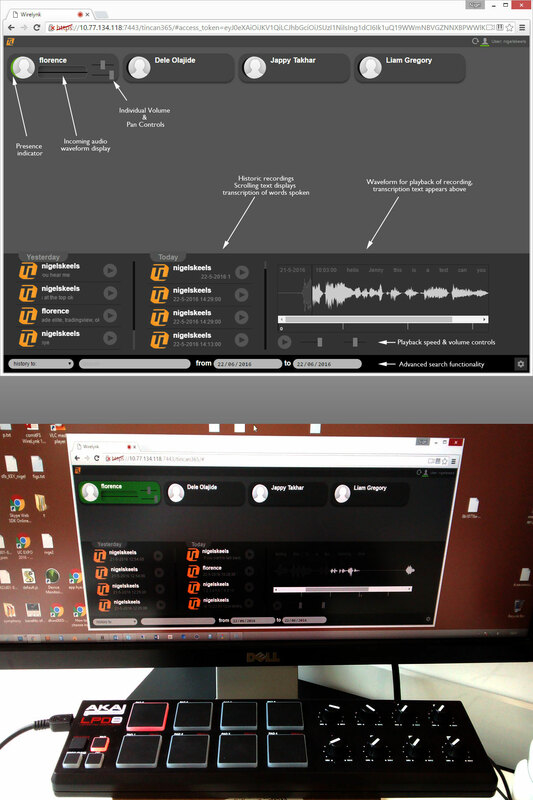 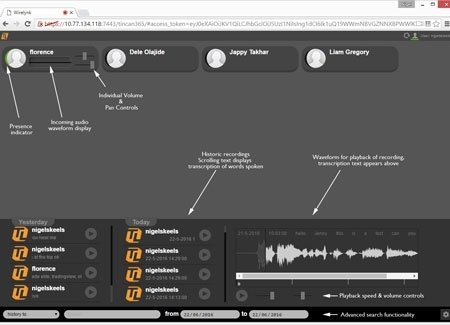 D3 is used to visually represent phone connections and the Web audio API is used to playback and historical recordings with controls to search and alter playback speed. 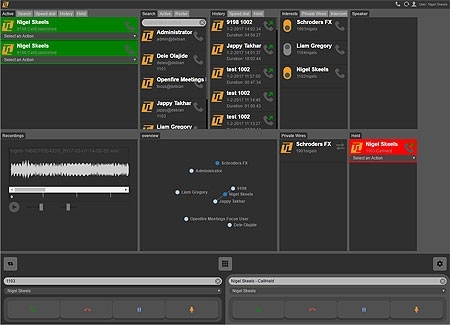 Wirelynk is a follow up to the Traderlynk product. 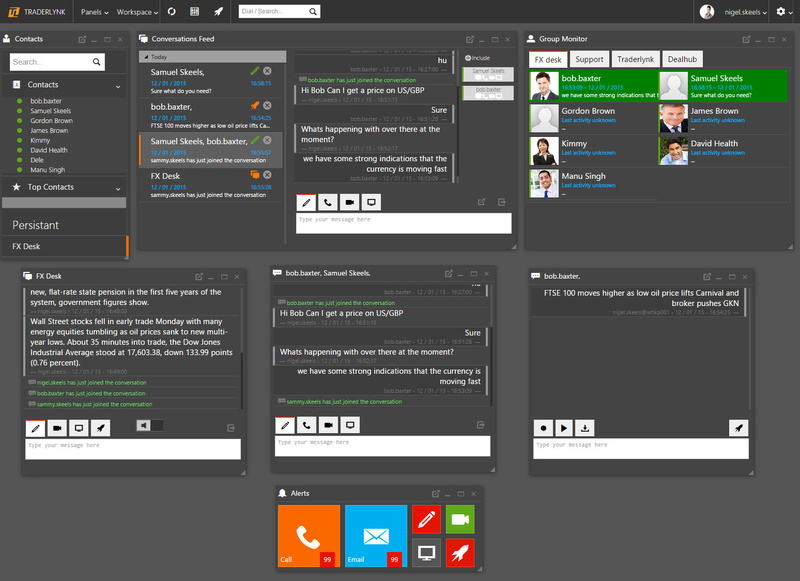 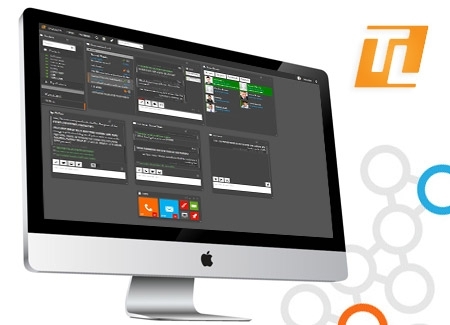 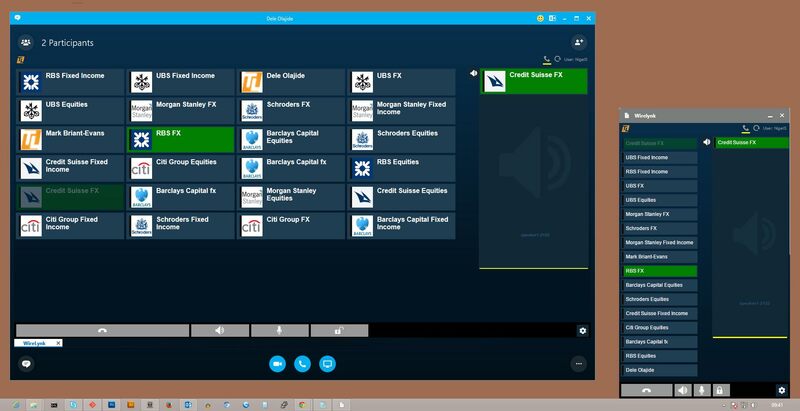 It provides a simple interface for financial organisations to connect to their private wires via the Microsoft lync/Skype for business infrastructure. 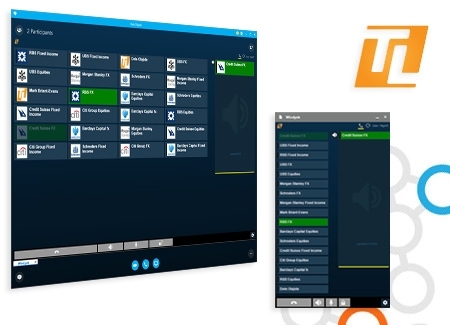 Multiple handsets, speakers and intercom functionality of both SIP and WebRTC can be used concurrently providing a turret like experience.